DJ controllers come in many variations, with different shapes, sizes, personalities, and of course, overall quality. As we continue our love for trying out as much DJ gear as possible, today we were given a Hercules Universal DJ controller to review fairly and honestly, and our verdict ultimately came down to what we’ve come to know Hercules as — affordable, easy to use, suitable for a wide array of DJ levels as well as adaptable to many different types of gig, performance and recording settings. 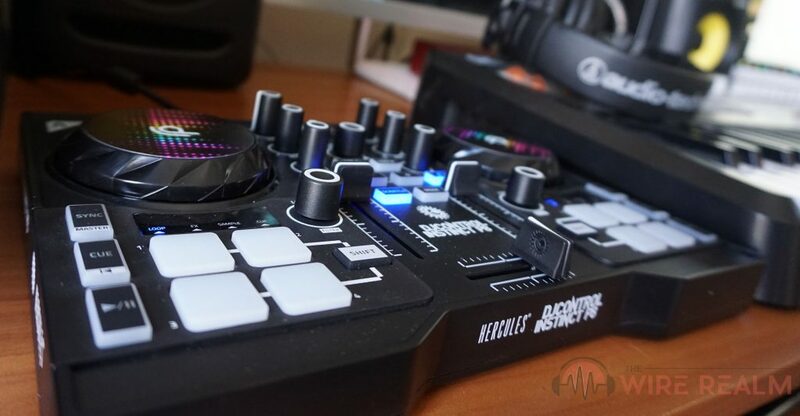 Although we do feel this particular DJ controller is ultimately exceptional for those starting out or needing a budget-friendly DJ controller to add to their existing DJ setups, we think it also brings a great learning curve for those needing a DJ controller that they won’t grow out of in less than a year. Let’s see what our experience was first hand. 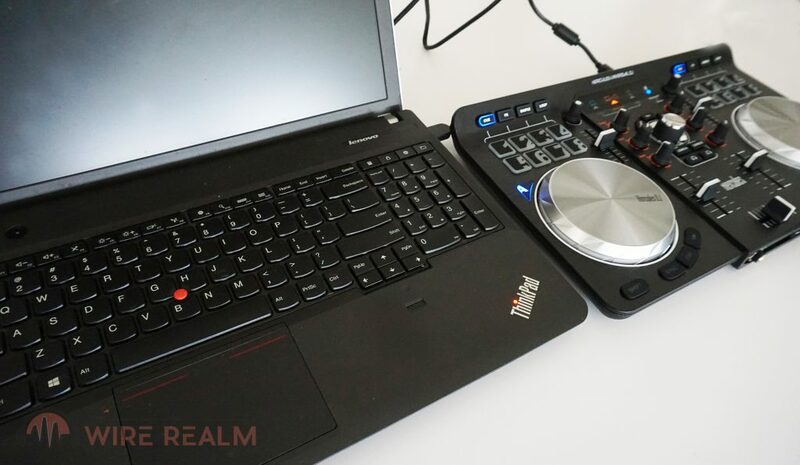 The Hercules DJControl Instinct P8 is one of our favorite DJ controllers in the market, and we were ecstatic when Hercules DJ gave us one of our own to write a fair and honest review here today. Coming in as an affordable and budget-friendly DJ controller, the Instinct P8 isn’t necessarily the most fancy or “jam-packed with features”, but is in our opinion the perfect solution for DJ’s on a budget, beginners, those who don’t need a lot of pizzazz (although this one of course has a nice light show function), or really, any experienced DJ who needs a simple solution for a controller that can be a nice addition to an existing setup, whether it’s a home studio or you’re playing on the road (it’s one of the smaller DJ controllers with jog wheels we’ve used, which is perfect for laptop setups and the like). Let’s get into the details of the DJControl Instinct P8. After stopping by their booth over at NAMM, we weren’t met with many new headphones or microphones as some may assume, but instead came across this bad boy, the Audio-Technica AT-LP1240-USB XP. For many of us in the DJ equipment world or really music gear in general, we’re all aware of that original AT-LP1240-USB turntable that has become extremely popular as the years have gone by. So what’s this “XP” lettering at the end of this particular model? We’re glad you asked. Aside from very few tweaks, they’ve included their AT-XP5 DJ phono cartridge as opposed to their previous model that was sold separately for a cheaper package. 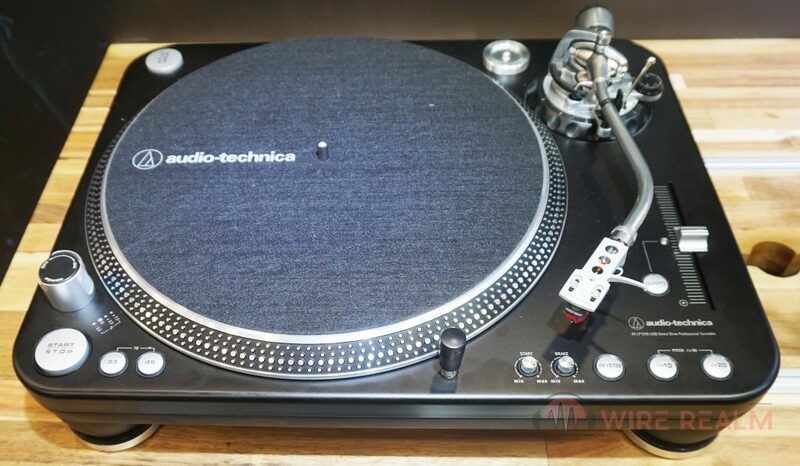 An all new DJ turntable by Audio-Technica, let’s get into some of the details. We’re always geeks when it comes to new gear, especially within the DJ equipment world in our case today with the Pioneer DDJ-1000. Many DJ’s are fully aware of that Pioneer DDJ series label, so with a new model out, we had to check it out at NAMM. Being one of the first to get our hands on the DJ controller, we jotted down our thoughts to share with the world. We’ll also spell out what exactly this beast does, and whether or not we think you’ll find it worth your time and money. Let’s get into the DDJ-1000!